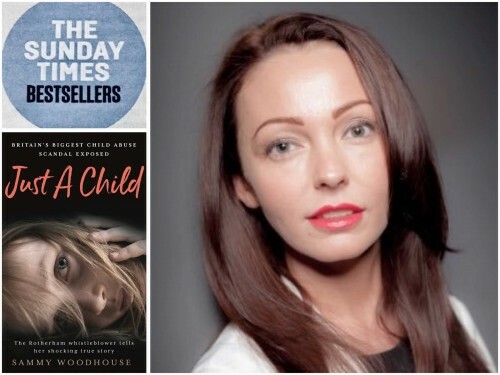 Congratulations to Sammy Woodhouse, whose book Just A Child (Blink / Bonnier UK) has spent three consecutive weeks as a Sunday Times Top 10 Bestseller. Sammy’s book, the chilling and heartbreaking story of how a trusting young girl survived and ultimately brought down the Rotherham child sexual exploitation ring, has over 20,000 copies in print in its first month on sale. Sammy has been an exceptional spokesperson for her book since its publication, appearing on shows including BBC Radio 4’s Woman’s Hour, ITV’s Loose Women, Channel 4 News, and BBC Radio 5 Live’s Victoria Darbyshire show.